The Ark project was designed by Russian firm Remistudio with the assistance of the International Union of Architects program Architecture for Disasters Relief. 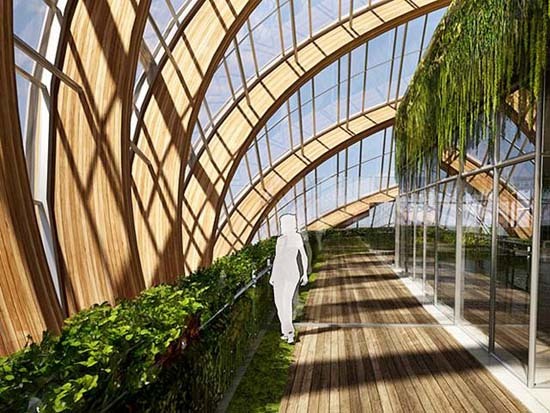 The dome-shaped hotel is constructed with wooden arches, steel cables and a self-cleaning plastic layer instead of glass. 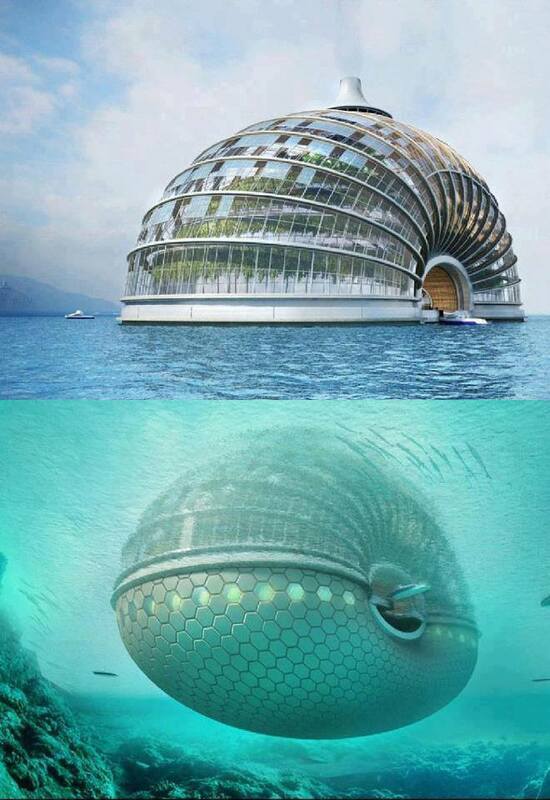 The slinky-like Ark hotel can be adapted to suit both land and water. It is built to stay afloat in the event of floods or rising seas. The 14,000 square metre shell-like construction of arches and cables distributes the weight evenly, meaning it can withstand earthquakes. Daylight is filtered through to internal rooms due to the hotels see-through structure, reducing the need for lighting. Designed as an integrated energy system with an uninterruptible power supply using alternative energy sources, the hotel uses solar panels and a rainwater collection system to provide inhabitants with power and water. 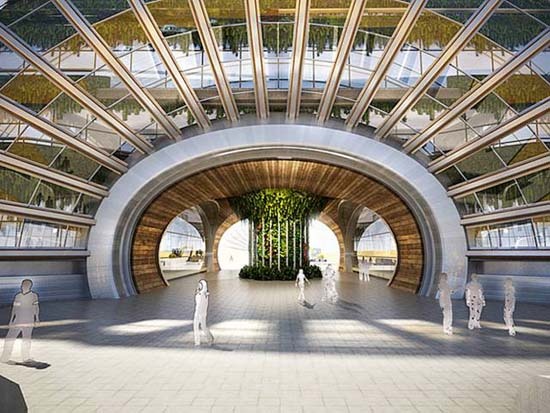 It would be built around a central pillar connecting to roof-top wind generators and heat pumps, as well as to energy storage and thermal conversion units below. There will also be a tornado energy generating spiral at the top of the pillar.